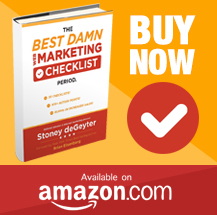 The world of digital marketing is continually moving forward. And amidst all of the new developments and technological progressions, we often forget about the value and utility of the most basic tools. For example, wiki pages have been around since the dawn of the internet, yet very few marketers are properly leveraging them. Should you? The term “wiki” means “quick” in Hawaiian. When wiki pages were first produced, they were seen as novel concepts that gave large numbers of people the opportunity to collaborate and combine knowledge for resourceful pages that could then be disseminated anywhere and leveraged by anyone. While most people think about Wikipedia when the word wiki comes to mind, the reality is that these dynamic pages can be used in a variety of ways — especially by businesses. Let’s check out a few of these business-specific uses and how they’re commonly used. When it comes to developing community among customers, wikis are a great option. They can be used to bring customers and employees together, which is mutually beneficial for everyone involved. “This type of open collaboration provides contributors with a sense of ownership,” internet expert Connie Malamed says. As your business creates more products and your customer base grows, you’ll inevitably have people asking more questions and bringing up new concerns. In addition to your onsite FAQ page and other customer service resources, a wiki page is great because of transparency. Anyone can upload a question and anyone can provide an answer. In theory, this strengthens your brand (though you’ll need to carefully monitor the information). Do you ever wish you had a private intranet for your employees? You can actually set up wiki pages, and they can serve as intranets for individual departments within your organization. From news and meeting notes to projects and troubleshooting issues, a wiki site can help you facilitate smoother communications. Wikis are unlike any other type of web page or marketing element. If you’re going to leverage wiki pages as part of your overall internet marketing strategy, there are some specific things you’ll need to consider moving forward. Hosting. As with any website, your wiki site will need a host. While you have plenty of choices, going with a wiki hosting service is often more beneficial than a general hosting service. This is because a general service may not quite understand wiki site styles and how to quickly and efficiently deploy your site. Consider how you might use wikis for your website and go from there. Security. You have to remember that users themselves can edit wiki pages. From a security standpoint, consider whether this will make you vulnerable to manipulation or cause other significant issues. Monitoring. Since users can edit wiki pages, it’s generally a good idea to require some sort of approval process. How are you going to monitor your wiki site? Who’s going to handle it? This is something else worth considering. If you’re going to use wiki pages and sites, you’ll need to do your research and learn about the complexities and challenges that come with it. However, if you’re able to figure out hosting, security, and monitoring, everything else should easily fall into place. With the advent of social media, most businesses have left wikis in the dust. However, despite their age, wikis still provide immense value when used in the right situations. Consider discussing their utility with your marketing team to determine if there are any opportunities for you. Anna is a freelance writer, researcher, and business consultant from Olympia, WA. A columnist for Entrepreneur.com, iMediaConnection.com and more, Anna specializes in entrepreneurship, technology, and social media trends. When she isn’t writing, she’s outside on her bike and contemplating her eventual trip to graduate school. Follow her on Twitter and LinkedIn. Are you interested in writing for this blog? Do you have a question you need answered by an expert? Take your digital marketing to the next level by subscribing to our weekly email roundup of blog posts with actionable tips and tricks. 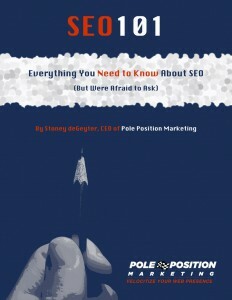 Plus, you'll receive our SEO 101 Ebook FREE!